The Head of the State also highlighted that Turkmenistan implements the strategy for integrated modernization of profile infrastructure, diversification of routes of energy carriers to the world markets, strengthening of the potential of processing including petrochemical industry, increment of production of high quality competitive production. During the session, Turkmen leader gave number of important assignments to the management of oil and gas complex. In particular, it was requested to provide high level of organization of the X International Gas Congress, which is to be an efficient ground for exchange of advanced practice, activation of productive relations with leading world financial and petroleum companies. At present, the organizers of anniversary forum, which is to take place in Avaza National tourists zone on May 21 – 22 this year, carry out an active preparation to the Congress. As is known, the biggest companies of the world have tight schedule of participation in the most significant events of the planet. However, despite the fact that exact date of International Congress dedicated to the capabilities of gas industry of Turkmenistan became known only two months before its opening, such strong players of the global energy market as Exxon Mobil, Shell, Gazprom, Petronas, CNPC, Hyundai, Kawasaki, NAPECO, Vitol, Dragon Oil, ENI, Burried Hill, LG, Gaffney, Cline and Associates and many other have entered the forum in Avaza to their calendars. This is not complete list of the participants, which brightly indicates high attention of the world energy business to growing gas market of Turkmenistan. This is not a surprise as Turkmenistan is on the fourth place in the world by natural gas reserves, which are estimated in more than 50 trillion cubic meters. Owing to its advantageous geographic and economic location and rich hydrocarbon reserves, the country has actual potential for the increment of the export of gas by existing and future directions. At present time, Turkmen state is among the main suppliers of gas in Central and Southeaster Asia. This is indicated by Turkmenistan – China transnational gas line, which embodied the idea of recreation of the Silk Road that used to connect the nations of Eurasian continent for thousands of years. Turkmenistan – Afghanistan – Pakistan – India gas line (TAPI) is another strategic important project. At present time, the construction of 214-km Turkmen part of the pipeline is under completion, practical works are carried out on the territory of Afghanistan and Pakistan. The opportunity to supply 33 billion cubic meters of Turkmen gas will appear after full commissioning of TAPI energy route, which total length is more than 1,840 km. the implementation of this grandiose project will give strong impulse to economic development of huge region supporting the solution of social and humanitarian problems and improvement of peace and stability. Active industrial development of the largest in the world gas deposit Galkynysh, which reserves are estimated in more than 27 trillion cubic meters of gas together with Yashlar and Garagel according to the independent audit made by Gaffney, Cline & Associates (UK), is continued. Complex of facilities for production of 30 billion cubic meters of gas per year has been put into operation in this place. Construction of similar complexes of the same capacity designated for provision of TAPI gas main with gas is planned. Onshore and offshore parts of Turkmenistan present great interest for exploration of new deposits of hydrocarbons. Geological and exploration works aimed at the study of deep (up to 7 km) deposits are recommenced at the existing production fields. In particular, seismic survey and exploration works in 3D format have been completed at Goturdepe Field in the west of the country with application of modern equipment and programme software. Barsagelmez deposit is another field where seismic 3D survey will cover 345 kilometers. In addition, seismic and exploration works have been made in 2D format on Darya territory, which are 874 km by perimeter. Discovery of new deposit of Northern Goturdepe at the depth of more than 4,000 meters can be brought as an example of current activity. Specialist of the State Concern Türkmennebit drilled super deep 7,150 m well at Uzynada territory on the Caspian coast. Industrial production of gas and oil was received in the result geophysical studies and logging made at the depth of 6,689 – 6,695 meters during well test. According to initial assessment, production of the well is 120,000 cubic meters of gas and 125 tons of oil per day. Perspective oil and gas deposits are developed on the right bank of Amudarya River, Central Karakums, Turkmen sector of Caspian Sea. At present moment, the experts estimate the reserves of Turkmen sector of Caspian Sea as 12.1 billion tons of oil and condensate as well as 6.1 trillion cubic meters of gas. Such fields as Magtumguly, Diyarbekir and Garagol Denniz are prepared for industrial production in this region. In general, around 200 deposits were discovered on the territory of Turkmenistan, hundreds of oil and gas perspective structures are prepared for deep drilling. Study of oil and gas production capabilities of pre-Jurassic sediments of central and northern parts of the country is started. Survey and exploration of deep resources in Southeaster Turkmenistan are carried out. Not limiting by raw material supplies, our country orients its fuel and energy complex to deep processing of hydrocarbons and production of competitive goods with high added value. President Gurbanguly Berdimuhamedov says that we look forward to the diversification of oil and gas sector, expansion of its infrastructure by creation of new modern production. In this aspect, processing of gas and making new products are the priorities for us. Fuel and energy sector of Turkmenistan make big steps in this direction. For example, plant for production of gasoline from natural gas has been built in Ovadandepe, Ahal velayat. Its commissioning is planned in summer 2019. Provided with latest equipment, the facility would process 1,782,000,000 cubic meters of gas per year and produce 600,000 tons of A92 gasoline, which meets the highest ecological requirements of Euro 5 standard. Construciton another facility for production synthetic gasoline in Ovadandepe is planned and foreign investors have already expressed the willingness to participate in this project, which advantage is high output of production at cheap cost and colossal resources of local raw materials, the same like in other spheres of Turkmen petrochemical industry. Opportunity of industrial production of graphite from petroleum coke has been studied at metallurgic plant in Ovadandepe. Establishment of big facilities for production polymeric products is among the most promising directions of further development of gas processing industry of Turkmenistan. It was started with the construction of the units for production of polypropylene from associated gas extracted during oil refining at Turkmenbashy Refinery Complex. Availability of strong material base, transport and other infrastructure has determined the selection of Kiyanly settlement in Balkan velayat as a location of big petrochemical complex, which started operating in October 2018. Production capacities of new complex allows processing 5 billion cubic meters of natural gas per year and to produce 386,000 tons of high density polyethylene, 81,000 tons of polypropylene and other valuable production as well as to receive 4.5 billion tons of sales gas at the end of the process. It is planned to build another petrochemical complex for production of 200,000 tons of low density linear polyethylene, 390,000 tons of polypropylene, 100,000 tons of polyvinylchloride, 10,000 tons of liquid chlorine, 82,000 tons of caustic soda and 10,000 tons of sulphuric acid per year. It will also process 1.5 billion cubic meters of natural gas and 117,000 tons of sales salt per year. It is also planned to reconstruct the installation for processing of natural gas and production of liquefied gas at Bagaja field in Lebap Velayat and to build petrochemical complex for production of 60,000 tons of butadiene styrene rubber and 25,000 tons polystyrene per year on its base. This is just a small part of the projects that the State Concern Türkmengaz plans to have in next ten year. According to the experts, the demand on A95 gasoline and diesel fuel in the country would increase two times in the country by 2030. 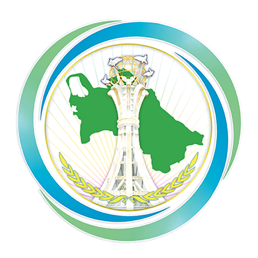 It was used as a ground to develop complex of measures for further expansion of capacities of Turkmenbashy refinery Complex and Seydi Refinery, enhancement of oil refining process, which would lead to the growth of light goods production. At the same time, technical and economic feasibility of the installation for production of benzene, which is necessary for production of polystyrene and rubbers, is under study. Construction of the plants for recovery of benzene will allow Turkmen petrochemical specialists fully providing the country with own gasoline meeting Euro 5 standards and to arrange the production of high quality synthetic lubricants. It is planned to implement other several projects, which are aimed at the expansion of petrochemical production including linear low-density polyethylene, polypropylene, polyvinyl acetate, polyvinylchloride, methanol, liquid chlorine, sodium sulphate and other products. Therefore, having relied on deeper and more comprehensive processing of natural gas, Turkmenistan not only improved its positions in the world energy market as major supplier of energy carriers but also changes the character of its presence on this market by diversification of trade structure of energy export, active development of new forms of international energy business. Programme of development of petroleum industry until 2030 provides the measures aimed at further intensification of production capacity of the sphere, which is related to the provision of energy security of the country, which President Gurbanguly Berdimuhamedov connects with the Sustainable development Goals on global and regional levels. Importance of natural gas as the most environmentally friendly source of energy becomes more significant. The world has to reduce the emission of carb dioxide in order to achieve the goals of the Paris Climate Treaty. It does not mean full rejection of use of excavated types of fuel as the countries require more energy. Ecological requirements are the key factor defining energy transformation of fuel and energy complex of Turkmenistan. Continuation to increase the role of natural gas, which has less emission of harmful substance to the atmosphere than oil or coal, is the biggest contribution, which can be made nowadays in reduction of the emission in global scale in near terms.